Sake 107 in Petaluma delivers authentic Japanese cuisine with Sonoma County ingredients. 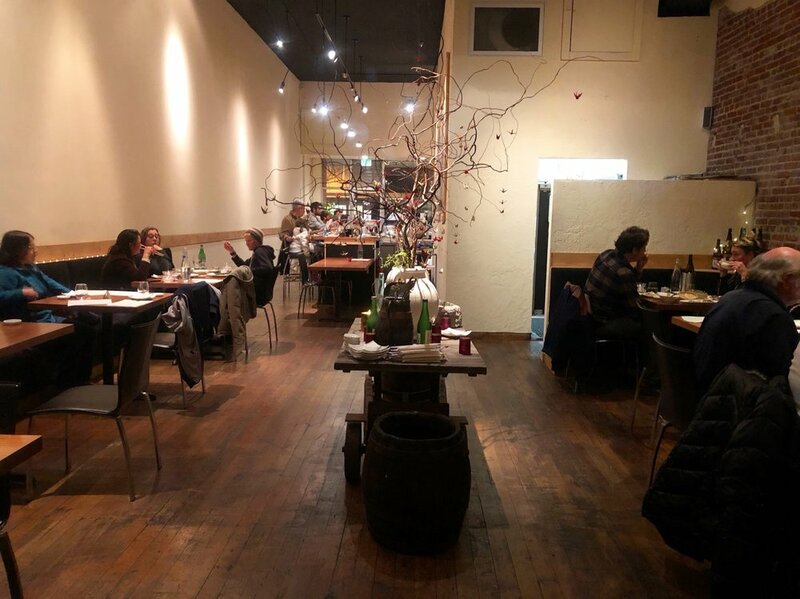 Petaluma keeps adding more great restaurants, in all types of cuisines, including Japanese. With the new Sake 107, the specialty cuisine is even more authentic, since chef Eiji Ando grew up in the Aichi prefecture of Japan. He has been crafting sushi in the Bay Area and Sonoma County since 1999, and now, married to a Sonoma County local, he blends his hometown cuisine with Wine Country accents. That means some inventive dishes, such as mozzarella paired with tomato, shiso leaf, and handmade shio koji, a dressing of malted rice, salt, and water that adds umami. But don’t expect fusion. 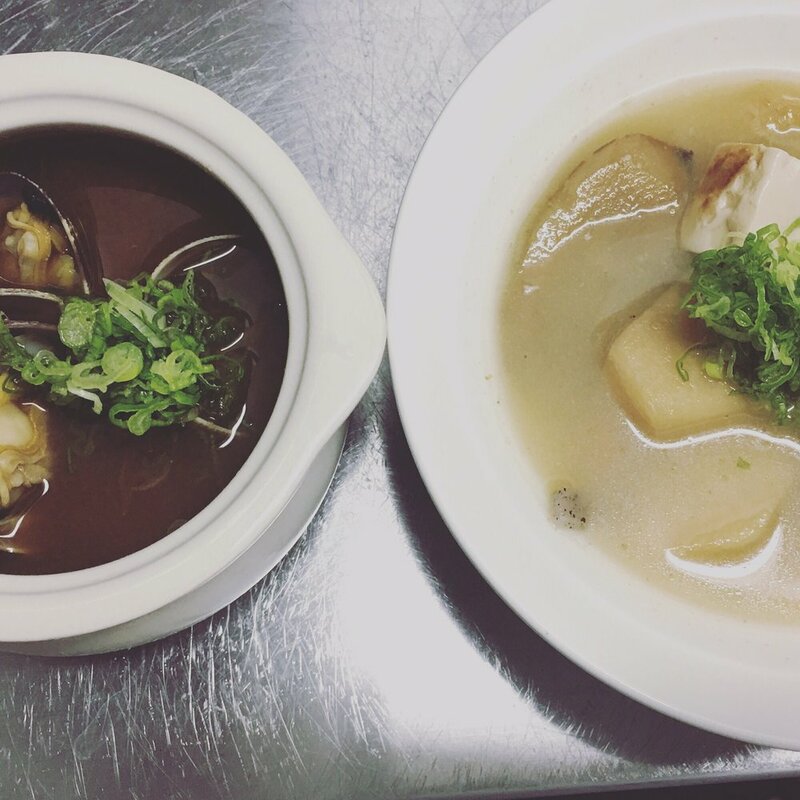 Ando, who worked at Rohnert Park’s beloved Hana, keeps the experience traditional. That means not masking his fishes’ pristine flavors with a soy sauce soak, but gently anointing the silky meat with a bit of soy, sake, and rice vinegar. And while some fish comes with wasabi, this is not the fake, neon green kind, but real wasabi for a brilliant bit of fire. The look: Pretty wood floors, wood tables, and wood wall trim bring a Japanese mood — simple and spare with little art except a lovely centerpiece table holding a vase of skinny branches hung with tiny origami swans. The long, narrow room includes a sushi bar backed by a dramatic black, white, and gold mural of an enormous carp. To eat: Start with “tuna lily,” which are seasoned fresh tuna tartar dolloped on shrimp crackers ($13). “Dancing calamari” is a refreshing change from the typical fried seafood – here, the tender meat is sautéed with spinach and mushrooms ($10). I really like the Otsmami Trio, too, which is a rainbow plate of asparagus splashed with miso vinegar sauce, wands of eggplant marinated in nanban (soy sauce, sake, sugar, and ginger), burdock, and carrot braised in soy sauce ($12). You can get teriyaki chicken ($17) or shrimp tempura ($8), and they’re good. But this is a great place to branch out and explore less common dishes. Asari-hatcho is an intriguing soup of Manila clams and shallots in hatcho miso (sweet-salty dark soy) broth ($7), while Agedashi Paradise brings fried shrimp, tofu, eggplant, and ingen (string beans) in seasoned soy sauce ($16). As with Hana, sushi is a star. 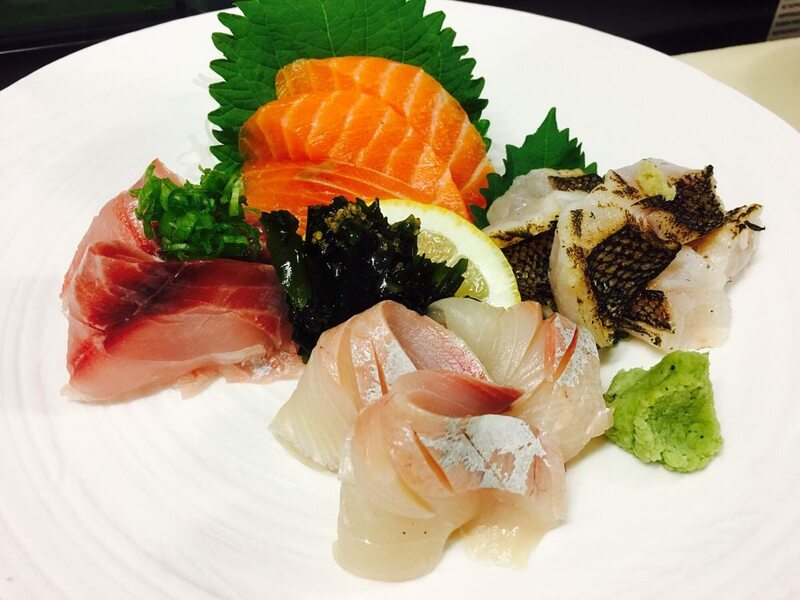 Premium fish nigiri features favorites like big eye tuna ($9), salmon ($7), and yellow tail ($8). Try the exotica, too, such as botan-ebi — sweet prawn served with a fried head that you pop in your mouth for nice crunch ($12) — and umi masu (bright orange ocean trout, $8). There are no gloppy rolls here, either, but a handful of elegant creations like spicy tuna and avocado wrapped in sushi rice then topped in salmon and sesame seeds on a pond of gluten free ponzu ($17). To note: Wasabi costs $3, though it’s enough to share, and really, fresh wasabi is so superior to the processed stuff. Dessert: Housemade flan with sugar crust ($7). To drink: A variety of cold and hot sakes range from $9 to $18, with some on-special for $7 at the daily happy hour, 3 to 6 p.m.